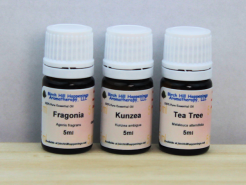 Eucalyptus Globulus, Peppermint, Rosemary, Cinnamon and Clove Bud in Jojoba and MCT. This is a 3 1/2% essential oil blend in the massage oil base. Have you been doing a few too many deep knee bends or kneeling on the ground gardening? Your knees and other joints may have taken on a little too much for the day. And rubbing them sure feels good. 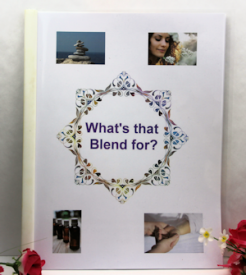 Using a massage blend with some wonderful essential oils known to help to bring some relief to the discomfort from over use will surely be welcomed. You can use this blend too, when you first arise in the morning and those joints feel a little stiff. Several of the essential oils in this blend are warming and with a gentle massage will help to loosen you up to get you moving! This blend will feel good on any type of discomfort with your joints or muscles. Just massage in as needed. Use the convenient Roll-on for a single troublesome muscle or small joint (like fingers or toes).